Since January 1, there have been 15 beekeeping workshops, events, or schools in Kentucky. Several of these have been featured in local media. Below are the links to the articles or other media pieces that we could find online. The links can also be found on the KSBA website under “In the Media.” If you have links to other honey bee or beekeeping related media in Kentucky, please send them to me so we can include them on the website. 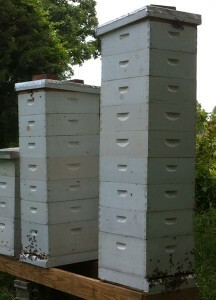 There are still several beekeeping workshops and schools scheduled throughout the rest of the year. Please watch the KSBA calendar and future news posts to find out more about the events.